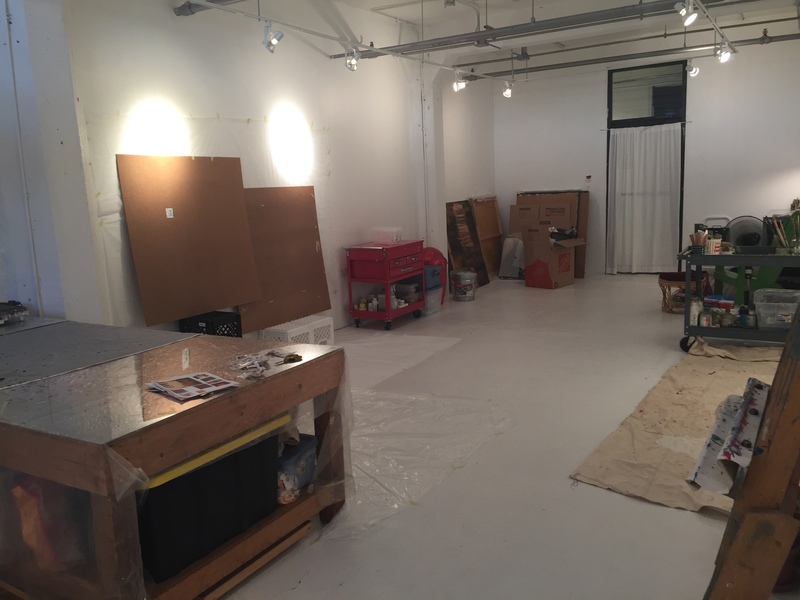 In the summer of 2018 I moved to a spacious (600 sq ft) studio at Zhou B Art Center. I have room to view my art from a distance as I work, across the back portion is a storage room and I can create "stations" for various pieces/media I am working with. 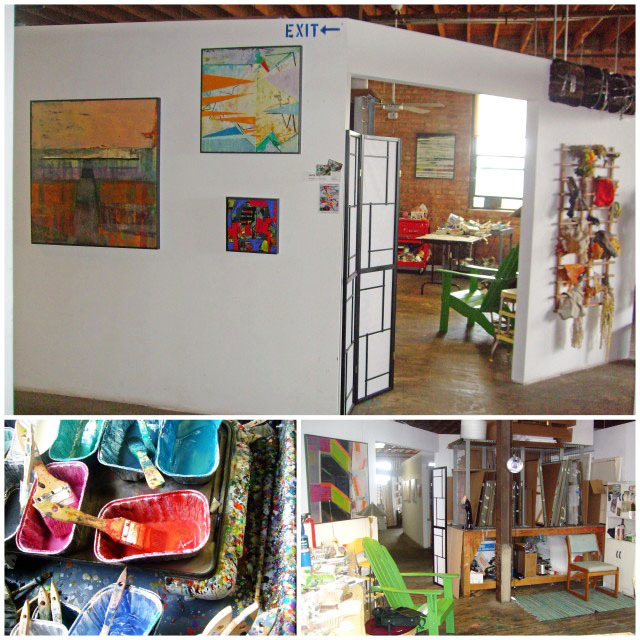 In addition each 3rd Friday of the month, there is an open house (The building houses 40+ artists) which brings people from all walks of life and all parts of the world. I moved to this studio in the summer of 2017. 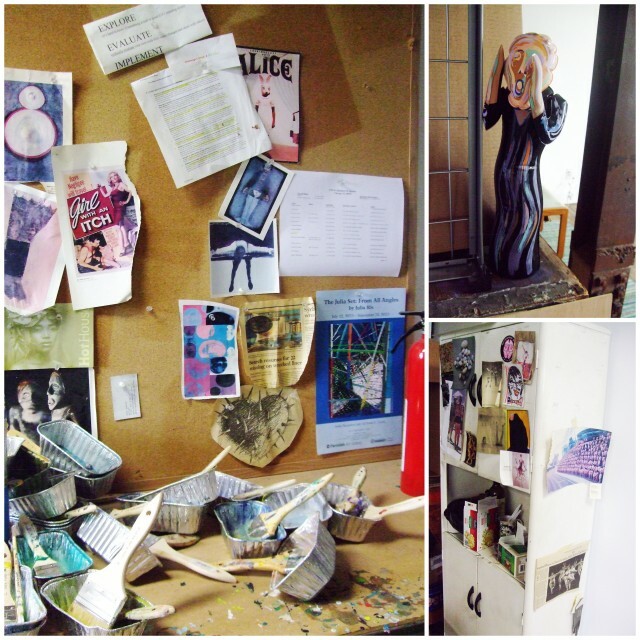 The previous building I was in was being "gentrified" and all of us artists were asked to leave. 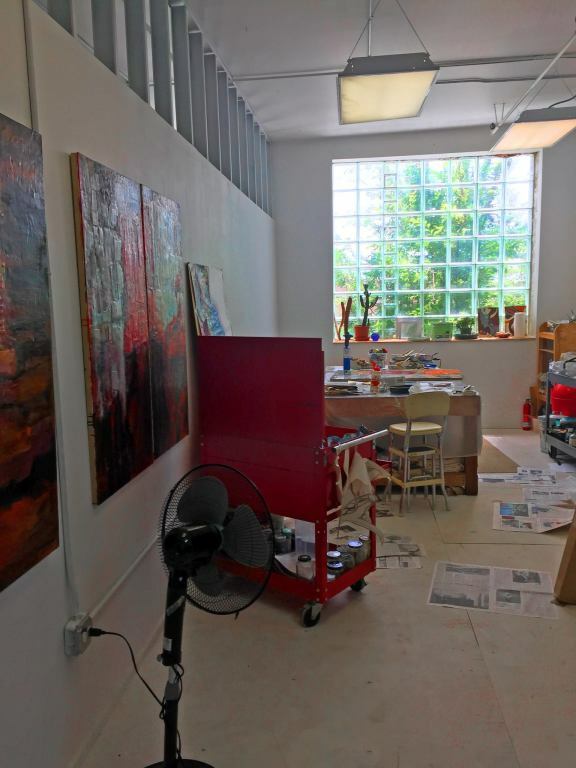 My new studio was bright and had a storage closet which I loved. However, the situation was just not right in some ways and when Zhou B Art Center called me in May of 2018, I moved. The Chicago Ave. studio was further from home and I drove to "work." My studio lures me back day after day. 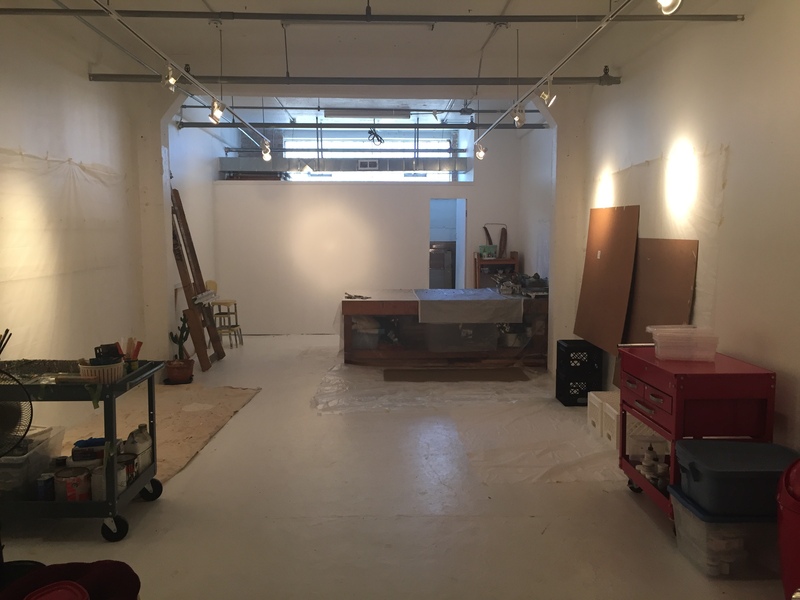 I love my 1.5 mile walk west from our condo in downtown Chicago to my studio on the 3rd (top) floor in a brick warehouse building in a light industrial area. From the weeds and flowers that grow in the cracks of some of the sidewalks to the small pubs that I encounter, each day's walk is a wonderful segue to my creative world. 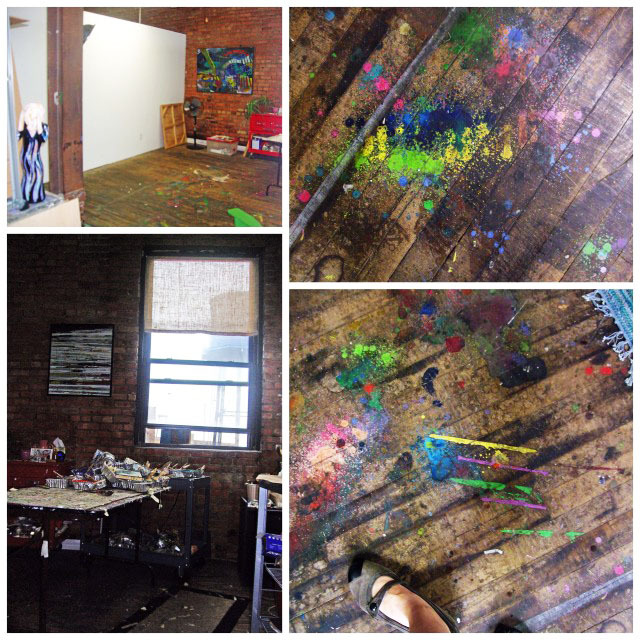 There are nine artists working on this floor in a warren of various sized studios.There are no doors and the walls do not go to the ceiling. I can seek conversation or input if I desire, or pull my screen across the studio opening, put on my headphones and be "alone." I feel at home here.